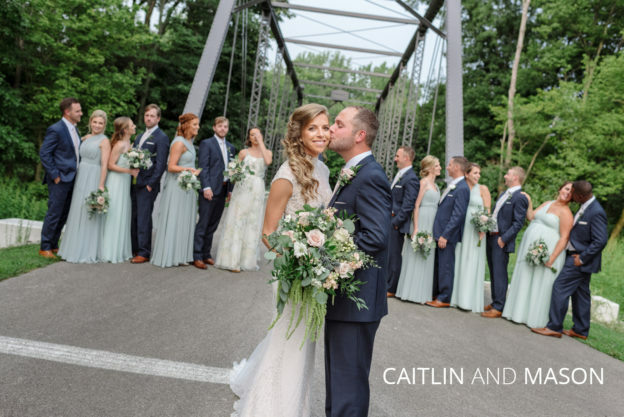 Caitlin and Mason’s Findlay Ohio wedding was from start to finish, beautifully genuine. The details poured from every corner and yet it still wasn’t overdone. I think that has to do with how down-to-earth and honest Caitlin and Mason are. I got to know them both a little better at their engagement shoot in the fall of 2017, so on their wedding day, it felt like I was seeing old friends. I met up with Caitlin and her bridesmaids at the brand new Hancock Hotel in downtown Findlay, OH for her and Mason’s mid-August wedding. The room itself was alive with laughter and natural light. The furnishings were gorgeous and the room is quite possibly one of my new favorite “getting ready” rooms to shoot in. Caitlin’s hair was intricately braided into the most spectacular mermaid braid. It was show-stopping. 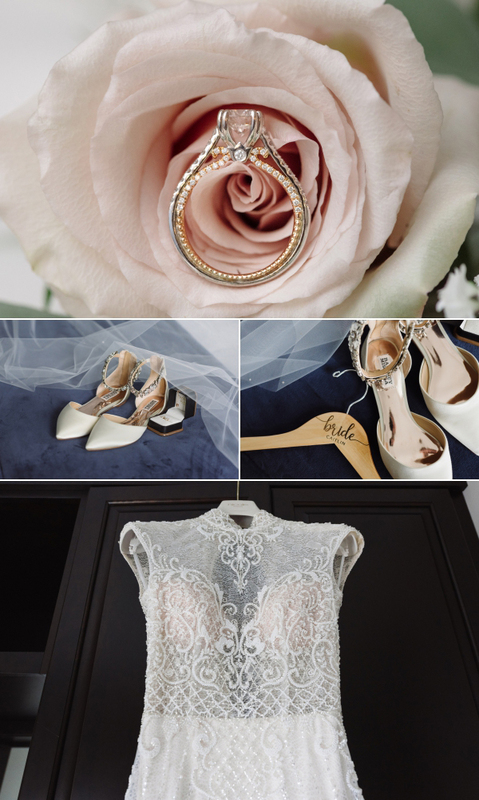 But not as showstopping as her Nicole Spose beaded dress. I’ve been to a lot of weddings and I’ve literally never seen a dress like this one. It was form fitting, elegant with its high neck, delicate with its sheer fabric, and absolutely made for Caitlin’s figure. When it came time to head over to the First Lutheran Church, there wasn’t much travel time needed, as it was across the street. The entire wedding party was able to walk over. Talk about convenient. The back of the altar of the church had natural light flooding into the sanctuary which did make it a little more challenging to shoot than the average church, but it also provided such a unique and happy environment. 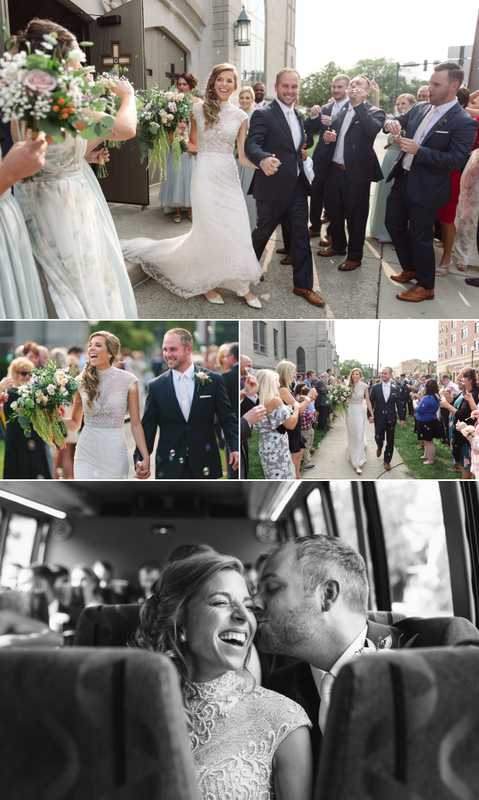 After they said “I do!” we all hopped on a bus and drove around to some cool local spots. Most notably was the bar owned by Caitlin’s family. As per tradition, she poured and served Mason a Guinness in her wedding dress from behind the bar. Then we had the entire wedding party come in for one large celebratory “cheers!” and photo-opp. Afterward, it was time to head back to the Hancock where the real party could begin.